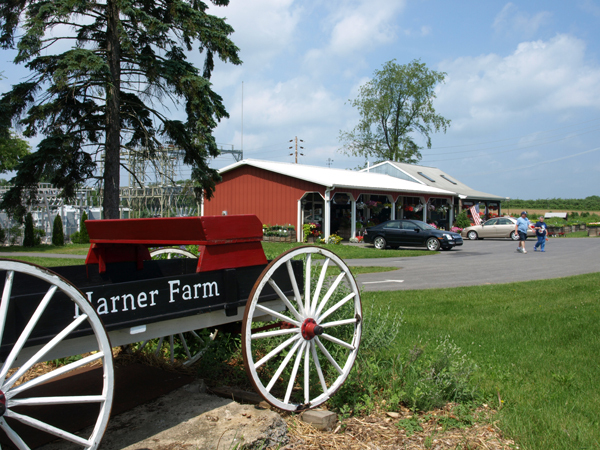 Honeycrisp apples are now at Harner Farm in State College. For this week’s Local Food Notes….honeycrisp apples are back, your chance to meet a sheep at the Millheim Farmers Market, Tait Farms Foods introduces a fall flavored shrub, and how to store that winter squash purchase you made at farmers market. - Honeycrisp apples are back: Honeycrisp apples are a much-loved variety, due to their crisp texture, sweet flavor, and juicy mouth-feel. They are back now, and can be found at various Central Pennsylvania orchards, such as Harner Farm and Way Fruit Farm. Get them before the rest of the Honeyheads end up eating them all. - Ever felt wool when it’s on the hoof? : If not, then you will get your chance to do so at the Millhem Farmers Market Saturday during regular market hours of 10:00 a.m.-1:00 p.m. The sheep meeting is part of the Millheim Fiber Festival. - Tait Farm Foods has a new shrub flavor in time for fall: Shrubs are basically a way to preserve fruit. The fruit is steeped in sugar and vinegar, and the end result makes for a delicious mixer for both alcoholic and non-alcoholic drinks. Tait Farm has introduced a spiced apple shrub that is delicious. It gives a nice fall spice, sweet-tart kick to your favorite drink. - Winter squash, now appearing at your local farmers market: Along with apples, winter squash are showing up at local farmers markets, and are quite delicious in a variety of recipes. If you buy them now, cure them by storing them in a warm place with good air circulation for a few weeks. This gets rid of the excess water. then they can be stored for anywhere from a month for acorn squash to 6-7 months for blue hubbards.